Fl. 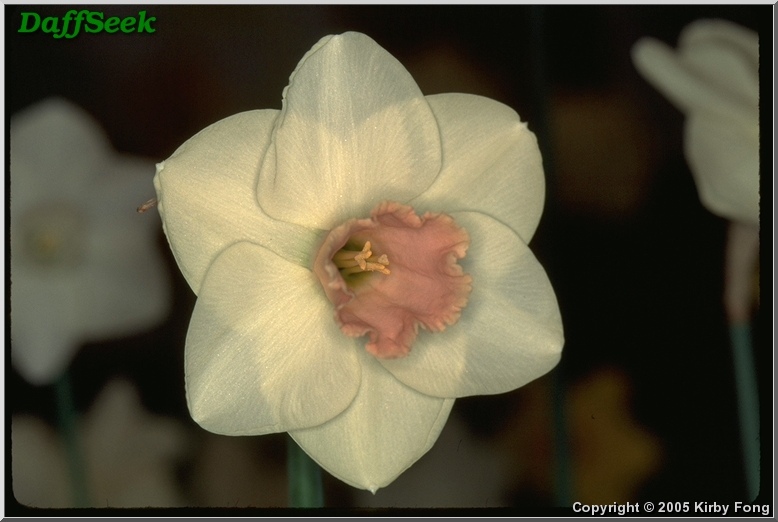 96 mm wide, somewhat upward-facing; perianth segments broadly ovate, a little concave at margins, deeply overlapping; the inner segments almost touching one another; corona funnel-shaped, light pink, with mouth lobed and slightly flared. 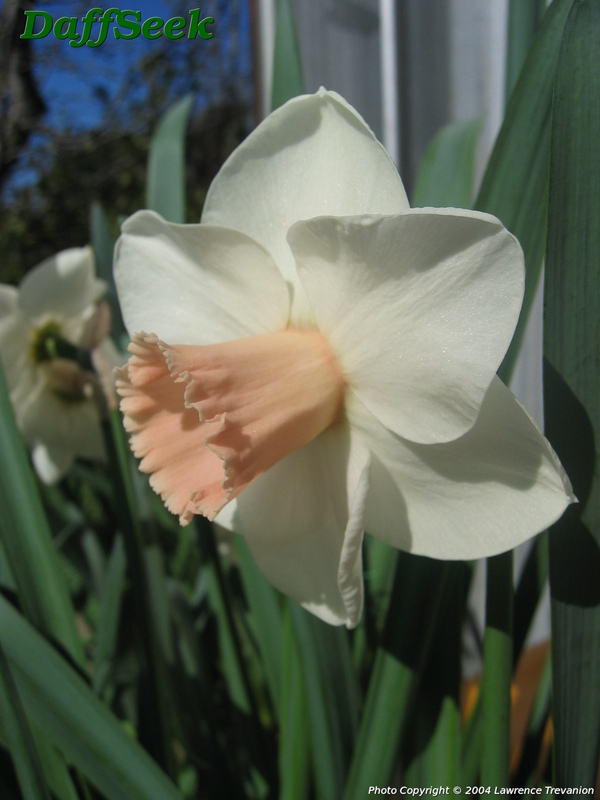 Name is a combination of this daffodil’s parents’ names ‘Erlirose’ and ‘Verran’.